Home China Train China Guide What Do Chinese Trains Look Like? What Do Chinese Trains Look Like? Traveling by train in China is one of the cheapest ways to travel some of the long distances in China and is used widely by the local population. It is important to know what to expect if you decide to travel by train in China. The information below might be helpful when you book train tickets in China. 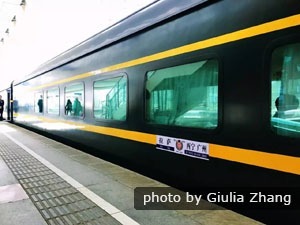 They are the fastest (over 200 km/hr or 124 miles/hr) in China, and provide frequent service between the main cities centered around Beijing and Shanghai, such as trains Beijing/Shanghai, Beijing/Zhengzhou, Guangzhou/Shenzhen, Shanghai/Hangzhou, Shanghai/Nanjing, and so on. Trains only stop at a few major stops along the way. The coaches are modern and air-conditioned. 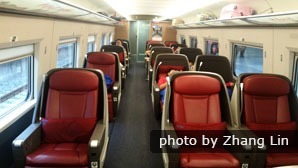 First-class seats and second-class seats are available, while for some long-distance overnight trains, such as Beijing/Shanghai, there are soft-sleepers available. The washrooms are relatively clean, with closestools. The second fastest (160 km/hr or 99.4 miles/hr) in China, though its name implies "non-stop", some do have several stops along the way, but only at major stations. The coaches are modern and air-conditioned. They are usually overnight trains, so there are usually only sleepers (hard/soft) available, while some only have soft-sleepers available. 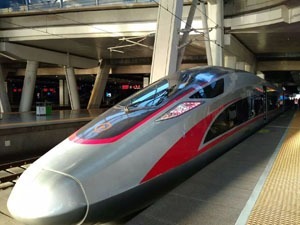 The trains serve main cities, such as Beijing, Shanghai, Xi’an, Wuhan, Shenzhen, as well as Hangzhou and Ningbo. T trains run at 140 km/hr or 87 miles/hr, and have limited number of stops along the way, at major cities or some junctions. All the major cities with railways can be reached by taking T trains. The coaches are modern and air-conditioned. Both seats (hard/soft) and sleepers (hard/soft) are available. K trains run at 120 km/hr or 74.6 miles/hr, and stop at more stations than the T trains. Besides stopping at cities, they will also stop at main counties along the way. Both seats (hard/soft) and sleepers (hard/soft) are available. The coaches are not so modern and clean as those mentioned above, and air-conditioning is not always on, but they are still tolerable. Trains numbered between 1001 and 5998: 40% of these trains have air conditioners, and the rest only have electric fans. The trains stop at railway stations in country towns and cities. Trains numbered between 6001 and 7598: These trains stop at every railway station along the way, including those in villages and small towns. The ticket prices are really cheap, but prepare for basic train conditions on the train (only electric fans are available). There are six kinds of general tickets available. China Highlights recommends booking a soft sleeper or a hard sleeper. The hard seat and no-seat tickets are in compartments that are so crowded that even a short trip may be very uncomfortable. 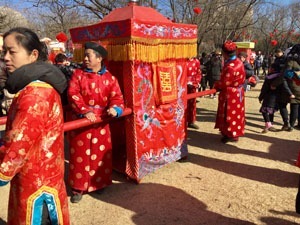 The compartments may be packed with people standing or sitting in the aisles. Also, foreigners may find it difficult to get a hard seat or a no-seat ticket since the ticket sellers may not issue these to foreigners. The best choices are soft sleeper or hard sleeper. It is the top level sleeper, and the fare is much more expensive than that of soft sleepers. It is only available in a few trains. Each enclosed compartment contains only two clean and comfortable bunks (upper/lower), a western washroom, and sometimes even has a shower cubicle. The ground is carpeted, and other facilities include sofa, LCD TV, table and wardrobe. It is sort of a luxurious train travel, with the fare almost twice as much as that of the hard sleeper, and sometimes even as much as that of discounted flights. Each compartment is enclosed by a door, and contains four bunks, with two to a side. The bunks are wider and more comfortable, and there is an LCD TV for each bunk. Air-conditioning is available, and the washroom is clean. Smoking is not permitted in the coach, but you can smoke at the corridor between cars. 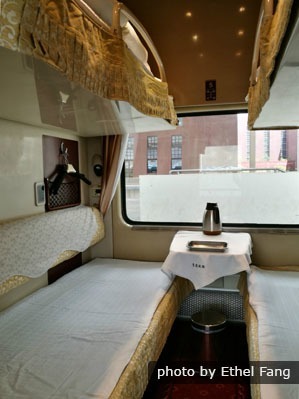 It is advisable to buy soft-sleeper tickets for overnight and long-distance travel. It is the basic accommodation for overnight or long-distance train travel. The coach has doorless compartments, in which six bunks are arranged, with three tiers of bunks (upper/middle/lower) on both sides. The bunk beds are stacked three high. The top bed may be difficult for you to get onto. There is a small difference of price between the bunks, with the upper bunk being the cheapest and the lower bunk the most expensive. A pillow and a sheet are provided for each bunk. There is a small TV hanging in each compartment. Air conditioning is available, and the washroom is tolerably clean. Smoking is not permitted in the coach, but you can smoke at the corridor between cars. It is one level above the hard seat, and the fare is slightly higher. The seats are relatively cleaner and morecomfortable. There will be no over-crowding in soft-seat coaches. In some trains air-conditioning is available. Smoking is not allowed in the coach, but you can smoke at the corridor between cars. These are the most expensive tickets and often almost the same price as a hi-speed train ticket, but these are often available when the other regular tickets are sold out. 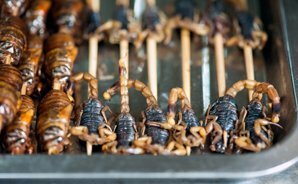 These will probably always sell out during the Spring Festival. There are closed compartments with four beds per compartment. Soft seats are ok for several hours’ ride. It is the cheapest option and the most common kind of tickets, and the coaches are usually overcrowded. Though the seats are actually thinly padded, you could hardly sleep on the upright seats. Smoking is permitted here so there is no air-conditioning. The coaches are not clean, and you would never want to visit the toilet. It is usually not advised to buy hard-seat tickets when there are other options available. They are very uncomfortable for overnight trips. 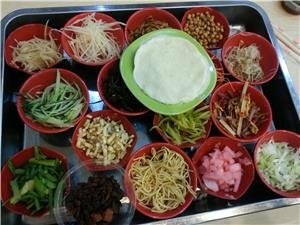 During the Spring Festival travel peak, the compartments are generally overcrowded, noisy and maybe stinky. There are frequent thefts of baggage. If you can’t get any other ticket, you may be issued a “no-seat” ticket. These are generally cheap. 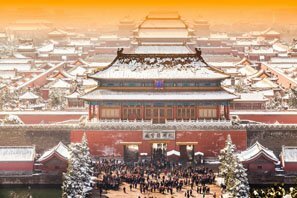 Even long-distance journeys may cost less than 200 RMB or less than 30 USD. However, the crush of people jostling for standing and sitting space is terrible. Sometimes people even get violent. You can purchase small stools or sit on your luggage. It is the most luxurious and expensive class. There are three seats in a row (2+1), with sufficient elow and leg room. The seats are leather covered, soft, comfortable, and can be reclinded to a flat angle. A business class ticket is twice as a first class ticket, as triple as a second class ticket. Business class is usually available on the first or last carriage on some G-category high-speed trains. They are seperated from other carriages by an automatc door. It is a good choice if you want to have a quiet and private journey. They are available on bullet trains. Four seats are arranged for a row. 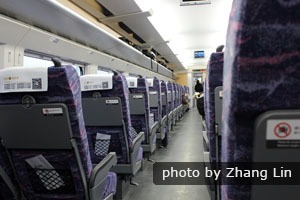 The seats are similar to soft seats, but are wider, more modern and comfortable. Smoking is not allowed. They are available on bullet trains. Five seats are arranged for a row. It is a level below the first class seats with relatively smaller sitting area, but is still comfortable. Smoking is not allowed.